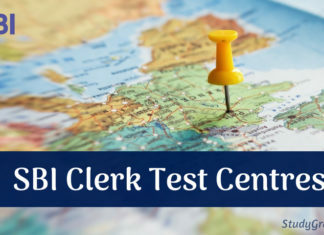 SBI Clerk 2019- State Bank of India (SBI) conducts recruitment examination for appointment in clerical cadre in Associate Banks of State Bank of India. The exam conducting authority releases the application forms for the same on its official website, www.sbi.co.in tentatively in the month of April. The preliminary examination will be conducted tentatively in the month of May/June. 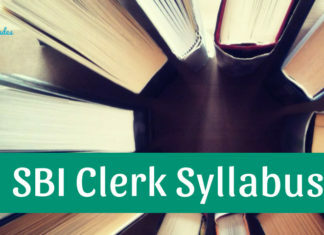 Candidates who have qualified the graduation examination in any discipline from a reputed University/ Institute are eligible to apply for SBI Clerk Examination. The selection of the candidates will be made on the basis of their performance in the preliminary exam, main exam and interviews. In the prelims & main examination, candidate’s knowledge on English Language, Numerical Ability, Reasoning Ability, General/Financial Awareness and Computer Aptitude will be tested to shortlist the final list of candidates. Candidates have to qualify all the selection level with minimum cut off marks to get the final appointment letter. 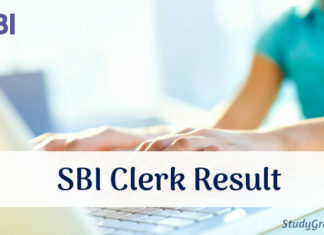 Stay Connected With StudyGrades for Latest Update on SBI Recruitment 2019! !